Teen pregnancy is obviously a serious matter, but it can be tough to try & teach teens to avoid pregnancy when reality shows like 16 And Pregnant almost glamorize the idea of being a young mother. That’s why a class baby is a genius idea when you think about it. The question is: how do we give teens a taste of the more realistic aspects of what it’s like to really have a baby? 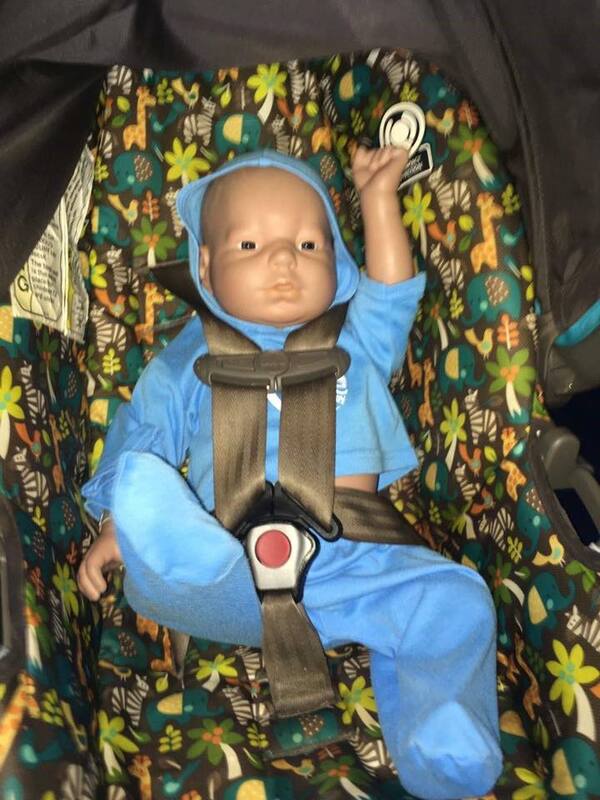 Some high school classes attempt to tackle the issue of teen pregnancy by giving students a “baby” to take care of for the week, in order to give them a sense of what parenthood requires. Way back in my day, we were given a flour baby. For you youngins, a flour baby is exactly that- it was a sack of baking flour that was wrapped in masking tape. My flour baby was quiet, very low maintenance, and would have made for great cake had it -sorry, HE- not been infested with flour beetles when I finally opened him. Did carrying around a flour baby make me think twice about avoiding pregnancy? Well, I now have six kids & harbor an irrational disgust for bread products, so the results are mixed. But these days, technology has come a LONG way in giving kids a very, VERY realistic sense of what parenting an infant would be like. And for us veteran parents, it’s pretty damn funny watching kids try & handle this new techno-baby. A class baby, if you will. Without further ado, ladies & gentlemen: meet WILLIAM. The class baby. No, William is obviously not a real baby; he’s an interactive, computer-monitored fake baby that is given to students in many child development classes. 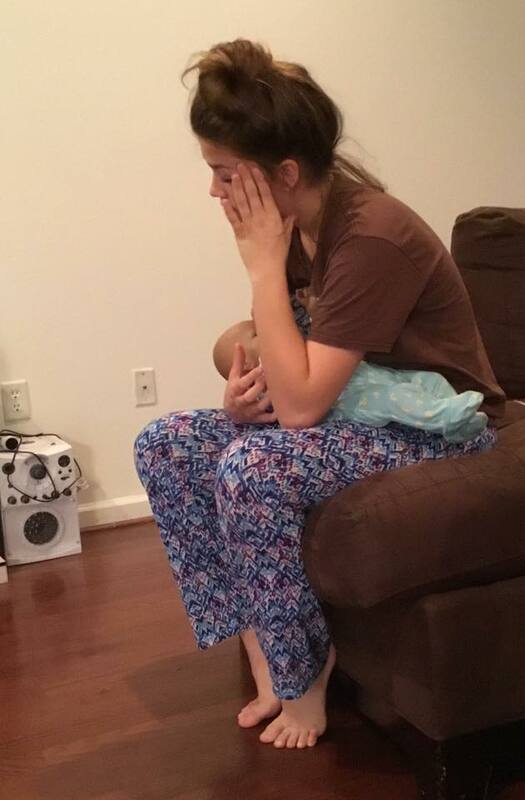 When Lawren Cole Galloway’s daughter Olivia was given the responsibility of “parenting” William for her Early Childhood Education Class, Lawren found her daughter’s reaction to the experiment hilarious. And thankfully, she shared the anecdote on her Facebook page, so other parents could cackle along in our glee. As of today, the post has already earned over 85K comments and 126K shares. For those of you not in the know, the interactive babies are exactly that- interactive. Absolutely exhausted and ready to quit the class and give William back. …maybe even throw him back. Babies are by nature in need of constant care & nurturing, so the work alone was probably a valuable wake-up call. She came into my room last night around 3 am. She was crying real tears while feeding him his bottle. She was begging me to help her because she just wanted to get some sleep. Did anyone else do the ugly-cry onto your baby’s head while feeding them in the wee hours of the morning, on virtually no sleep? YOU KNOW YOU DID. I know I did! BAHAHA!!!! Her response is exactly what I would have done & said to my daughter, too. And based on the post’s comments, the overwhelming majority of readers absolutely agree with her. Now of course if William were Olivia’s actual child, Lawren would surely have had compassion for her, and been more than happy to help. But the whole point of William is to teach teens that this parenting thing is NO JOKE. It’s a beautiful experience, but it’s also gritty, intense, and exhausting. And the sooner teens get to experience a taste of the more realistic parts of parenting, hopefully they put off having kids a bit longer. But of course if William isn’t enough of a real-life experiment for some students, myself and countless other moms would be happy to volunteer time with our own babies & toddlers for them to really know what it’s like. We’re more than happy to “help”! I already got my diploma. You want to pass, don’t kill the baby. If my daughter came crying to me, I would say YES. I would do this because I hope when she is a parent, she knows to ask for help rather than make a poor choice. I would do this because women should support each other. And most of all, I would do it because I believe if you love someone then your default should be to support them if they struggle.